Ahhhhh, a new week has begun, what adventures lie ahead??? I will say, it is off to a great start!! Earlier today I had some big decisions to make with my upcoming collection for Ch*Armz, of course the creative side of the decision process was fun (I love that part!) but when it came down to all the other stuff, I was spinning out in my head. I did not want to freeze & over-think, but yet I’ve gotta think it through…how much is too much when it comes to thinking? My gut knew I was on the right path, I just needed to keep reminding my feet to take one step, then another. It was time for action instead of analyzation. And I did, I took action! I sit here with a living room full of fabric I adore & now I’m looking at the next step. Today showed me I do have faith in myself & in my abilities. I am giddy at the thought of the next few months as I challenge myself to step outside of my fears & believe in me! My “safe” life is great, but I have dreams for it to be bigger & I can make it bigger! And of course this pertains to love too!! Take for instance, Guy #4. I should’ve known when he booked the date & said “let’s do early on Friday (7p) before we get our night’s started”. I hate to say it, but he was my Friday night. It may be the romantic in me, but even if we say we’re just meeting for drinks, I like to keep the evening open to the possibility of anything, we may hit it off, decide to have dinner, talk for hours, who knows…end up at the beach with our toes in the sand. OR home 45 minutes later with a box salad & Liz Lemon. We met at Golden Road Brewery, which is a great casual spot, if you’re a beer drinker, which he is not. Odd choice of venue. He ordered wine. Once we got our drinks & squeezed ourselves into a table, the stand-up routine began. I thought he was a producer/sax player/movie critic, now we’re adding comedian to the mix? 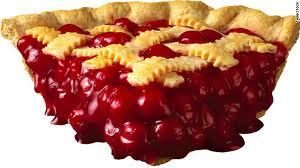 So, we get to talking about baked goods & here comes the schtick. He’s cracking himself up. I wince, fake chuckle & gulp my beer. And in a blink of an eye our mini date was done, he had dinner plans. Points for at least paying for my drink, but they were quickly lost as he couldn’t even walk me 3 cars past his to mine. I like when they make it clear as day that you’d never like to see them again. I will say I’m glad Guys 1-4 have gotten me back out there; they’ve introduced me to some great restaurants, lounges & cuisine. They have also shown me I need to tune back in to what type of partner I’m looking for & not be so eager to just get to the date. I’m diving back in the sea to find my fish. In the meantime, I’m curling up with some love letters & great stories. 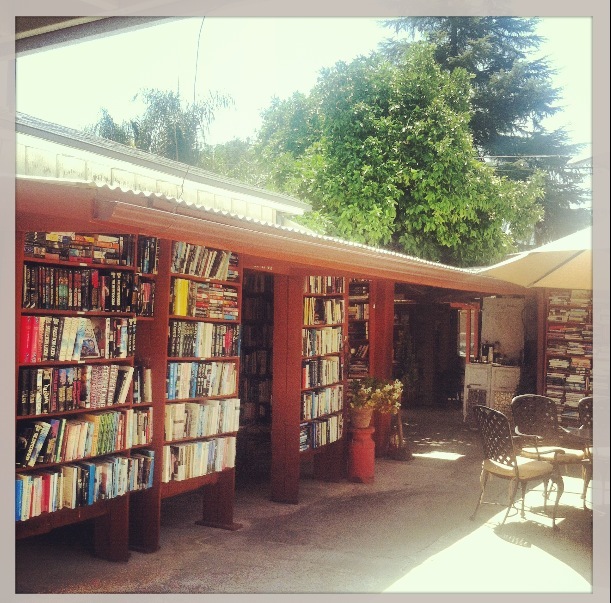 In a recent trip to Ojai with Mom, we came across this amazing outdoor book store, Bart’s Books. 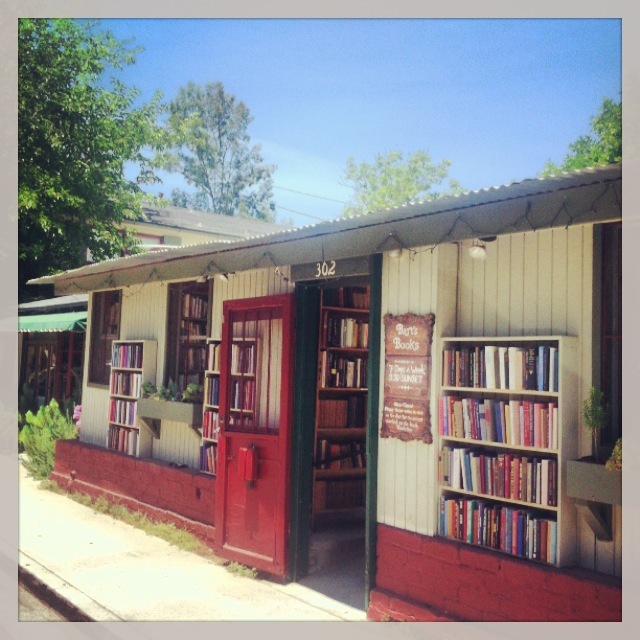 We got lost in there for hours. Mom in reflexology. Me in great love stories of the past. 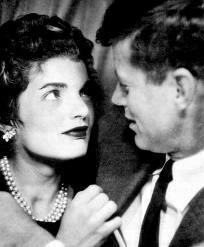 I found an interesting biography of JFK & Jackie’s love & life together that I couldn’t resist getting, I want behind the story of Camelot. Plus its an old hard cover book, just like good ole library days. It feels so weird to turn actual pages! I love it! 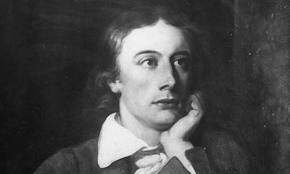 And as I dug through stacks of books, I was drawn to Keats & his love letters to Fanny Brawne…awww the beauty of words! “…My sweet Fanny, will your heart never change? My love, will it? I have no limit to my love now….Your note came in just here. I cannot be happier away from you. ‘Tis richer than an Argosy of Pearles. Do not threaten me in jest. I have been astonished that Men could die Martyrs for religion – I have shudder’d at it. I shudder no more – I could be martyr’d for my Religion – Love is my religion – I could die for that. I could die for you. 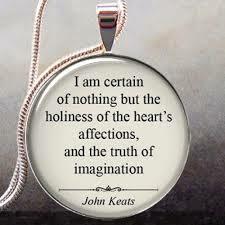 My Creed is Love and you are its only tenet. You have ravish’d me away by a Power I cannot resist; and yet I could resist til I saw you; and even since I have seen you I have endeavoured often ‘to reason against the reason of my Love.’ I can do no more – the pain would be too great. I cannot breathe without you.